Hunting and most other outdoor activities are fun, but terms and conditions apply. If you do not have the right tools and gadgets for the activities, you might have to improvise. But how do you make do without a knife in the jungle? 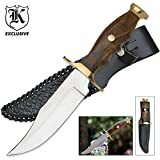 This is why there are hunting knives of different types for different activities. Skinning is one of the most common tasks while one is hunting. There are hunting knives meant for skinning and others for cleaning. Self-protection is paramount when you are in a potentially dangerous environment such as in the jungle. A hunting knife can do that for you. Blade Length - 6 inch. The knife used for big game hunters is very different from the one used by rabbit hunters. When it comes to hunting knives, bigger does not always translate into better. If you get a knife that is oversized, it will make the skinning process harder on top of increasing the chances of slicing through your flesh. A drop-point knife is perfect for those people who hunt big game, the likes of deer. If you prefer the smaller animals, a clip-point knife is what you will need. If you are an avid hunter, you should always go for the knives with a solid build. This way you will not have to repair frequently. Occasional hunters will find more value in a knife that can be used to carry out different tasks. A smaller folding knife is enough. The blade folds inward and locks making it safe. It may not be as strong as other bigger knives, but it is extremely portable. It is highly recommended for the small game away. How do you want to carry the knife? Do you want to keep the knife in a sheath or carry it in your pocket? A large blade will need a sheath to hang on your belt unless of course, you want to slice through your leg carrying it in your pocket. The folding knives can be carried in the pocket, or you can opt for the pocket knives. The only problem with pocket knives is that they are best used as spare tools and not for the action. Are you going to hunt in the deep Amazonian jungles or the meadow-like area? Do you need to carry a tent for hunting multiple days? If you are hunting in a place with thick vegetation, you will need a machete or a bushcraft knife to go with. This will help you clear out the vegetation and create a path. It also comes highly recommended if you are dealing with large potentially dangerous animals. 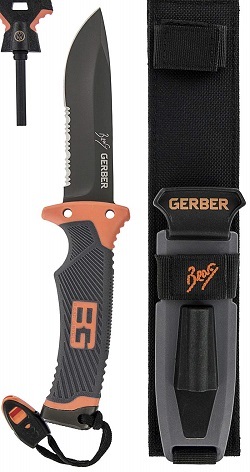 This knife by a collaboration of Gerber and Bear Grylls. 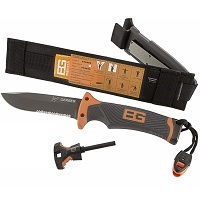 Gerber has a 75+ years of experience on the field and Bear Grylls is one of the top brands on survival gear out there. This is a great knife, and if you read some bad reviews out there, try again. The first version of the knife had some problems with the pommel falling of. This is the new generation, and all of that is fixed. Blade made of 7Cr17Mov stainless steel with a 57-59 HRC hardness rating, this knife will not let you down. 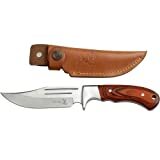 The sheath is well constructed and retains the knife well in position so you can easily attach it to any gear. It has a ferro rod that strikes well on a section of the spine specifically designed for fire striking and a diamond sharpener on the back of the hard shell sheath. This KA-BAR utility knife comes with a partially serrated edge that makes piece of cake the cutting of synthetic of looped materials. 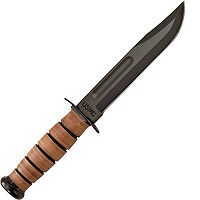 Its a full size knife with a blade made of 1095 Cro-Van steel. This makes sharpening a very easy job, so you can keep your knife edge in amazing shape. The perfect manmade Kraton G handle offers a great grip with a steady feel. Having used this knife, its obvious that it would hold anything i could throw at it. Is very well made and comes at an affordable price. This knife will take you back in time. 47 years ago Hoyt and Al Buck used this knife to build by hand in their two-man shop. 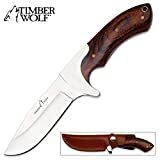 Its large 6-inch clip blade made of 420HC stainless-steel with an amazing Cocobola handle, makes this knife ideal for detail work, cutting and piercing. Its classic design is just perfectly executed and all corrosion resistance tests on the blade gave an A+. A no brainer. Executive Wood Bowie KnifeThis knife is truly one of a kind. Perhaps it is not appropriate to say that a knife is stylish, but this one is truly one of a kind. 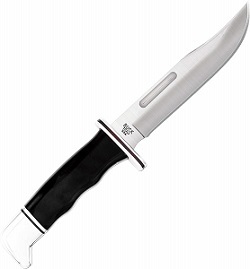 It comes with a striking appearance and a razor sharp 5” stainless steel blade. This is a great knife for just about all hunting duties. 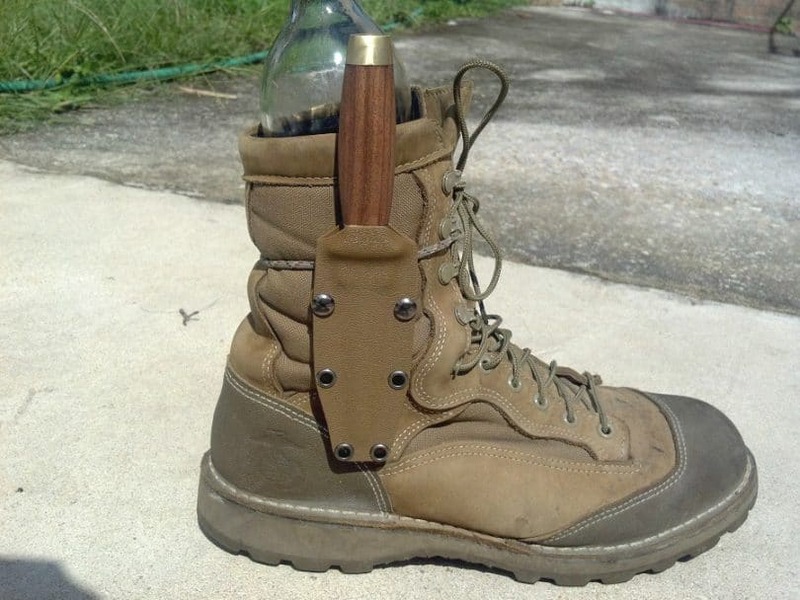 It is perfect for big game hunters. Its solid stature and the weight allow you to go about the shearing and tearing with such tremendous ease. The bad thing about it is that it can be quite burdensome if you are not going to use it but it is a good piece. 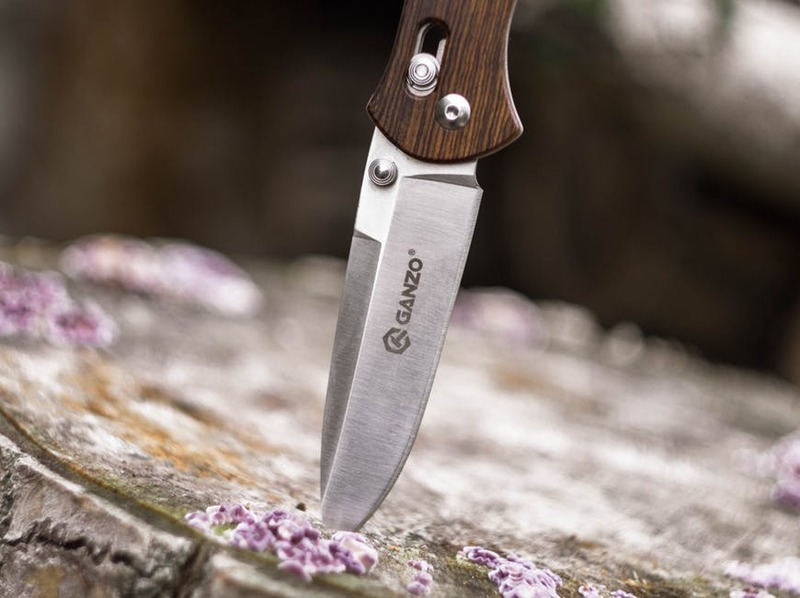 This knife boast of style, elegance and some 5” of a stainless steel blade. The wooden handle provides an excellent grip and also has a lanyard hole to hang it wherever you want to hang your knife. The quality and craftsmanship of this knife are way up north of superb. The knife provides smooth performance for just about any task you want to carry out. This is one of those knives that you can use comfortably on both big and small animals. The price is good if you shop online. 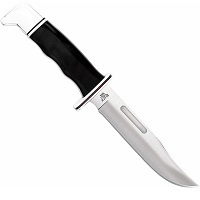 This serrated edge knife comes with an aluminum handle and a 3.26-inch blade. This is the kind of knife that you will not want to leave the house without. It can be used for just about anything from slicing through some deer to cutting a wedding cake (as crazy as that may sound). It is very tough and ridiculously lightweight. The downside is that this knife is not all that attractive to the eyes. 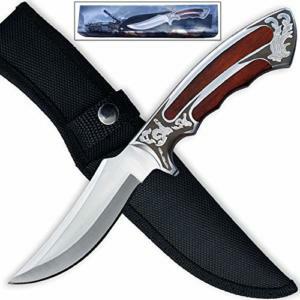 Knife5.75 inches of stainless steel protruding from a solid hardwood handle is what you will get with this knife. 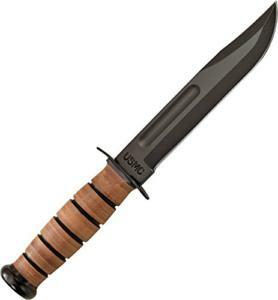 The handle provides powerful grip, and the blade offers good cutting work. This knife may come off as some movie prop, but it is not all that bad. It is a great knife to give as a gift or for light cutting activities when you are out. These are the 10 best-hunting knives on the market today. The best thing about them is that they are all available for purchase online. You can buy them from any corner of this world as you please. Once you get any of them, you will not wait long to try their performance when you are out camping or hunting. Can’t wait for your next hunting trip? Check out our other knife guides and selection tutorial.